Fox Chapel Publishing has several dozen books in the works at any given moment–books for coloring, crafts, home improvement, travel, and more. In the woodworking department, we have about 20 projects “cooking” right now. Some of them are at the printer, while others are ideas we’ve accepted and are working with the authors to bring to fruition. We thought we’d share a couple that we hope you will be excited about. 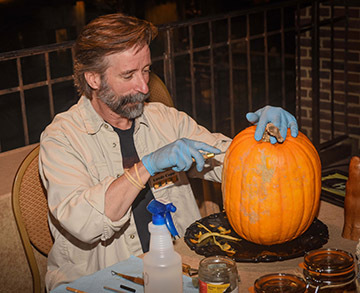 Grab your carving tools and make the best jack o’lanterns on the block! Lundy Cupp shares his techniques for carving creepy/cool faces in pumpkins, squash, and sweet potatoes. The carving doesn’t dull your tools, and mistakes don’t matter when the face is supposed to look scary (and the carving will disappear in a week or two anyway). 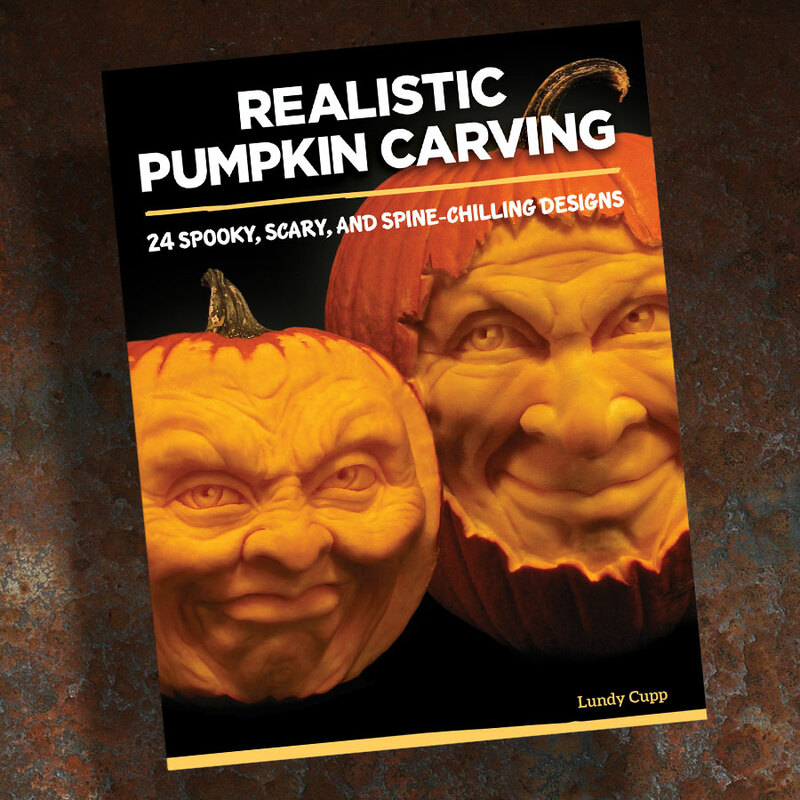 The book includes two step-by-step projects, plus extra info about carving eyes and teeth, and patterns for 24 designs. This book is available now from Fox Chapel Publishing or your local woodworking or book store. This book grew out of a casual conversation at Artistry in Wood in Dayton, Ohio, about 18 months ago. Floyd had a few Civil War figures on his table, and we thought it would be neat to do patterns for each branch of the modern military. 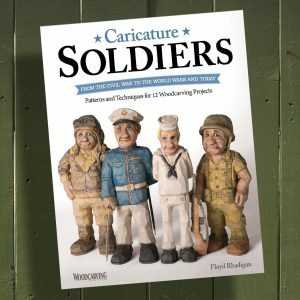 Inspired by his own service as well as his admiration for veterans of all branches and eras, Floyd carved a dozen figures representing the Army, Navy, Air Force, Marine Corps, and more. There is nothing like it on the market, and we think you’ll love it. 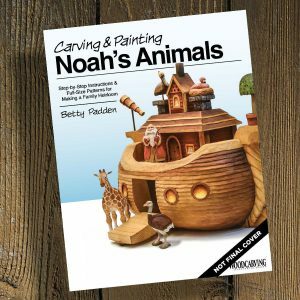 Pair Betty’s simple layered technique with some easy relief carving to make an easy heirloom ark and plenty of animals (perfect for play or display). Want a preview? Click here for instructions to carve the ark accessories.